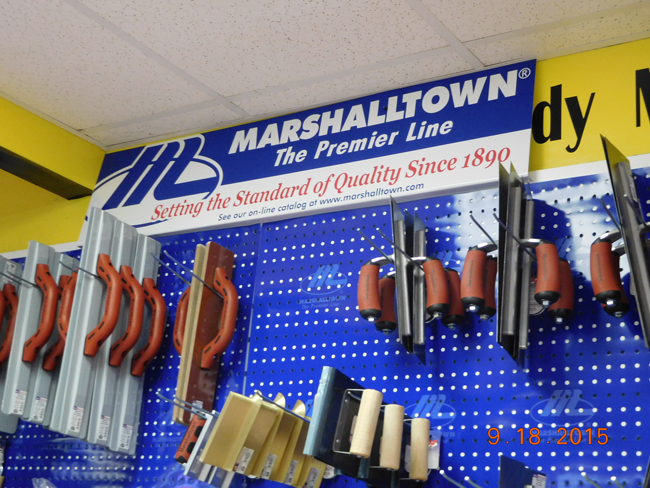 Marshalltown Concrete Tools – Now Available! 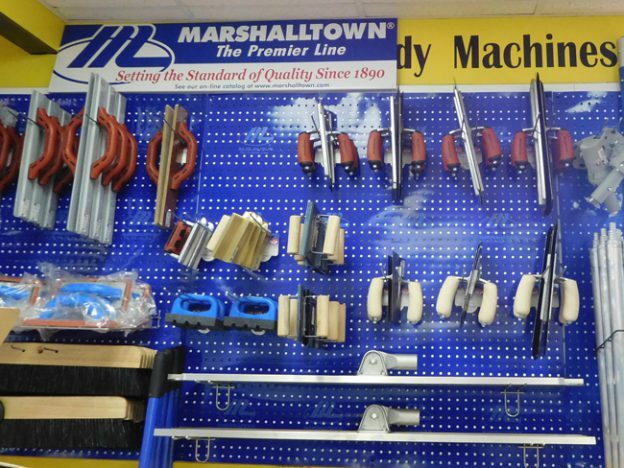 Looking for Masonry, Concrete & Tile Tools? 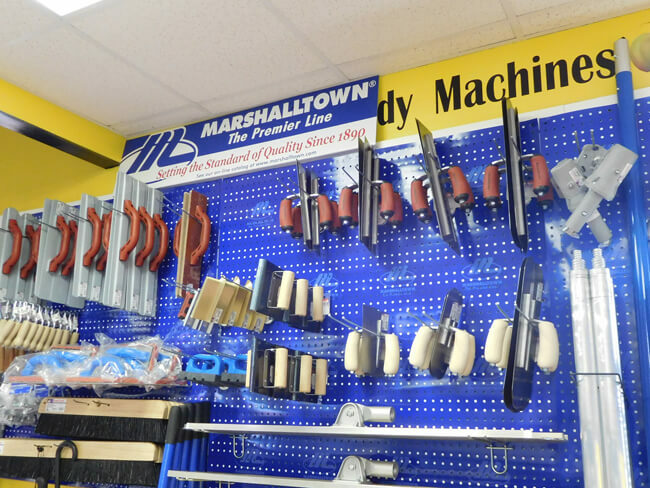 We are happy to announce that Rentalex is now selling a great selection of MarshallTown concrete tools in asphalt, brick, concrete, drywall, EIFS, flooring, paint, plaster, stucco, tile and wallpaper. Our new concrete hand tools and masonry supplies are ideal for professional contractors or do-it-yourself buyers. 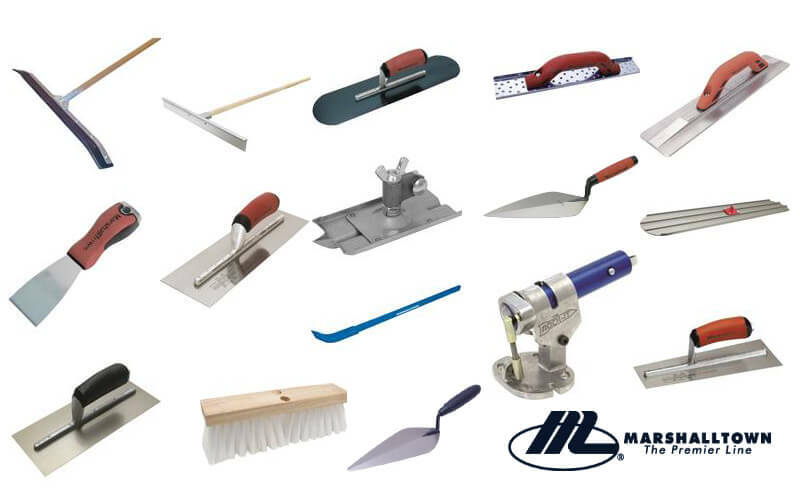 Some of our new concrete equipment tools include Brushes, Chisels, Gauging Trowels, Grout Bags, Hammers, Levels, Line Blocks, Twigs, Line Stretchers, Margin Trowels, Pointing Trowels, Replacement Handles, Rub Bricks, Sled Runners, Tape Measures, Broom Float and Bracket, Brooms, Bull Float Brackets, Bump Cutters, Concrete Chisels, Corner Trowels, Curb Tools, Decorative Concrete, Finishing Trowel Handles, Finishing Trowels, Flat Wire Brooms, Hammers, Hand Edgers, Hand Floats, Hand Groovers, Handle Adapters, Roller Screed, Walking Groovers, and much more. Check out some images of some of our new concrete finishing tools below. 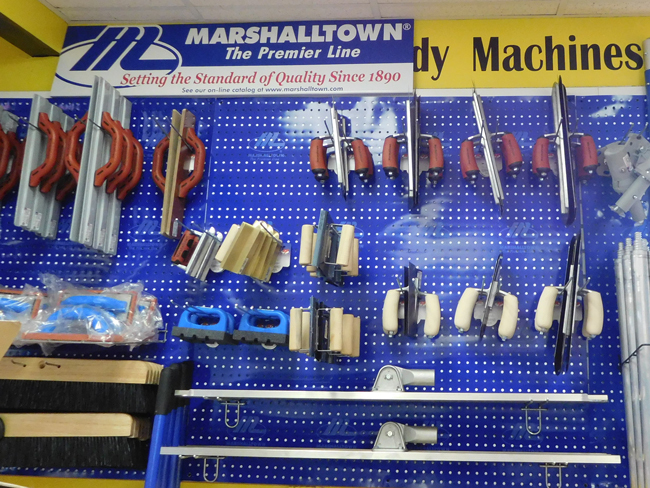 For more information about our new concrete supplies and masonry tools please call us at (813)971-9990.